Shem, Author at Gizmo Bolt - Exposing Technology | Social Media & Web. | Gizmo Bolt - Exposing Technology | Social Media & Web. 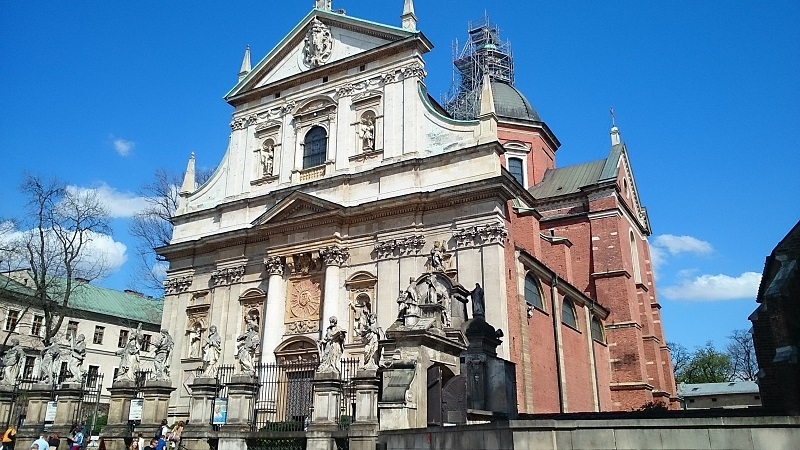 Medical Student from Poland, YouTuber and Tech Reviewer who loves everything about Android. Active Xda-Developers forum member (shem2409) that can't live without root and the newest mods. Loves Sony Xperia "Z" series. Follow him at Twitter. [VIDEO] Xperia Z3 hands on review – has Sony got a winner? With its crazy 6 month release cycle, Sony has the 4th generation of its flagship “Z” series smartphone ready for consumers. Is the successor to Xperia Z2 which is going to bear the flagship status for a mere 6 months going to be a worthy successor? What changes can be found in the new model and does such a quick release schedule make sense? 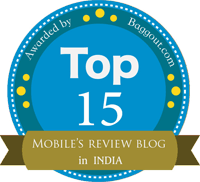 You will find the answer to these and more questions in our detailed video review of the device. Xperia Z3 features the Android 4.4.4 out of the box, Snapdragon 801 2.5 GHz quad core processor, Adreno 330 GPU, 3GB RAM and a 5.2″ HD display packed into a redesigned aluminium shell. The brilliant 20.7 MP Exmor RS rear cam has been improved with higher ISO sensitivity to aid in low light photography. What has changed since the previous model? Is it time to upgrade? Is this the best phone of 2014. Check out our full review to find answers to the above questions. Sony Xperia Z3 is one of the best smartphones Sony has ever built but the lack of significant improvements since the Xperia Z2 and its steeper price make us question the quick release cycle. What do you think? Let us know if you have enjoyed the review and if you are going to purchase the Z3. 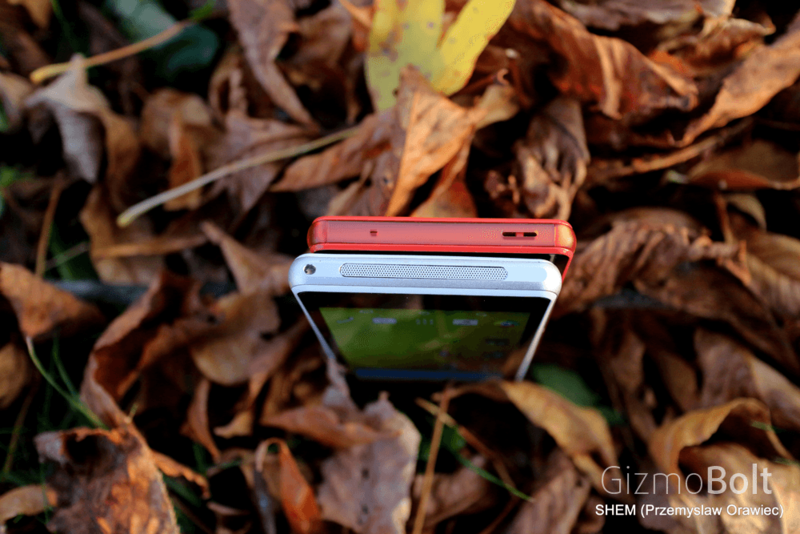 Also checkout our Z3 Compact review if you are after a smaller device. In the beginning of the year Sony proved to the world, that a flagship smartphone does not need to be comparable in size to a brick to come with top specification. The Z1 Compact is a brilliant smartphone that we can highly recommend until today, but it looks like there is a new player on the market. Sony presented a refreshed model called the Z3 Compact a few weeks ago. Is it going to be as good as the predecessor? Xperia Z3 Compact features the newest Android 4.4.4 out of the box, Snapdragon 801 2.5 GHz quad core processor, Adreno 330 GPU, 3GB RAM and a 4.6″ HD display packed into almost the same size shell as the Z1 Compact. We also still have the brilliant 20.7 MP Exmor RS rear cam, now capable of recording 4K videos ( 3840×2160 pixels/30p ) and 2.2 MP front cam. In our review we will present to you its beautiful design, show you how it performs in demanding games and test the speaker, battery and the screen. Is Xperia Z3 Compact the best smartphone ever built? Sony Xperia Z3 Compact is the most impressive smartphone from Sony we have laid our hands on thus far. 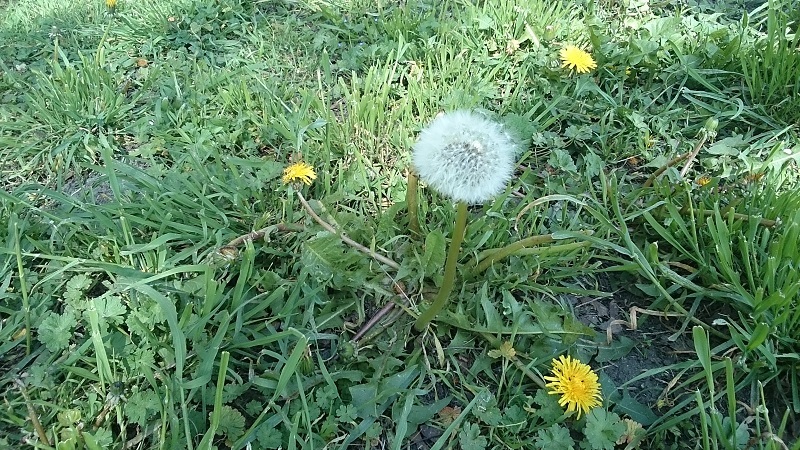 It is difficult to find any of its weaknesses. If you are wondering whether to buy it and you have the necessary funds, in our opinion it is a solid choice. We have done a comparison review of Z3 Compact and Z1 Compact and the predecessor remains a great choice if you are on a budget. Xperia Z3 and Xperia Z3 Compact is already available in India at Flipkart, if you are looking for them. On Amazon International Xperia Z3 is listed for $694 and Xperia Z3 Compact for $533. Do not forgot to see our recent comparisons w.r.t. Xperia Z3, check below. Let us know if you have enjoyed the review and if you are going to purchase the Z3 Compact. Our Z3 review is coming up soon as well, so stay tuned for that. If you have been wondering how the newest Galaxy Note 4 compares to the Sony Xperia Z3, you are in luck. Out team was able to get some hands on time with both devices and we are thus bringing you our hands on comparison video, where we will take a look at the build and design of both devices and show you their features. The Note 4 comes with a 5.7 inch SuperAmoled display with 2560 x 1440 resolution. The device is equipped with Exynos 5433 and Mali-T760 graphics chip or Snapdragon 810 with Adreno 420, depending on the market. Both versions come with 3GB of RAM and 32GB of on device storage expandable by the MicroSD cards. Sony Xperia Z3 on the other hand has a slightly smaller form factor with its 5.2 inch IPS LCD panel. On board is the Snapdragon 801, Adreno 330, 16GB storage also expandable by microsd cards and 3GB of RAM. Check out our video below and let us know in the comments which one is your favorite. Both devices have a long feature lists and neither one is a clear winner. 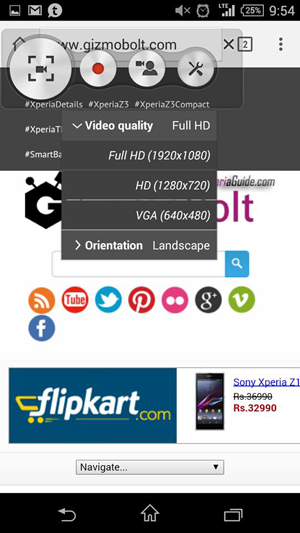 Xperia Z3 and Xperia Z3 Compact is already available in India at Flipkart, if you are looking for them. On Amazon International Xperia Z3 is listed for $694 and Xperia Z3 Compact for $533. Samsung Galaxy Note 4 is available for $844 on Amazon International. So are you a Galaxy Note series fan or Xperia “Z” series fan, which device caught your attention, let us know. Drop your comments below. We have previously brought you and article with images comparing the two generations of compact size flagships from Sony. Now its time for our detailed video comparison highlighting all differences between the devices. Just as a quick reminder the Xperia Z3 Compact features Snapdragon 801 2.5 GHz quad core processor, 2 GB RAM ( Xperia Z3 has 3 GB RAM ), Adreno 330 GPU and a 4.6″ 720p display with Triluminos Mobile. Additionally we get 16 GB internal storage with 128 GB external microSD card support, 20.7 MP rear cam and IP65/68 certifications. Sony Xperia Z3 Compact has 4.6″ screen, S801 processor, 128 GB microSD support while Xperia Z1 Compact has 4.3″ screen, S800 processor, 64 GB microSD support (there is also a difference in IP ratings of both device ). Sony has provided the finest available water resistance and dust resistance IP certifications available on Xperia Z3 Compact. Check out our video below and see if the time has come to upgrade from the Z1 Compact. As always we look forward to your comments. 09:21 Summary. Is it time to upgrade your Z1 Compact to Z3 Compact? Xperia Z3 Compact though seems a worthy upgrade over Xperia Z1 Compact but if you are looking to buy it, you might want to wait for price drop if you are upgrading from Xperia Z1 Compact. Let us know you views on Xperia Z3 Compact. Drop your comments below. Xperia Z3 Compact is Sony’s latest flagship device Xperia Z3’s younger sibling with the specifications similar to it, exactly the case seen in Xperia Z1 and Xperia Z1 Compact case. Xperia Z3 Compact features Snapdragon 801 2.5 GHz quad core processor, 2 GB RAM ( Xperia Z3 has 3 GB RAM ), Adreno 330 GPU. It features 4.6″ 720p display with Triluminos Mobile, 16 GB internal storage with 128 GB external microSD card also support, 20.7 MP rear cam and IP65/68 certifications. Sony Xperia Z3 Compact has 4.6″ screen, S801 processor, 128 GB microSD support while Xperia Z1 Compact has 4.3″ screen, S800 processor, 64 GB microSD support (there is also a difference in IP ratings of both device ). Sony has provided the finest available water resistance and dust resistance IP certifications available on Xperia Z3 Compact. In the following post you will see Xperia Z3 Compact vs Z1 Compact Comparison normally the outer design of both devices. 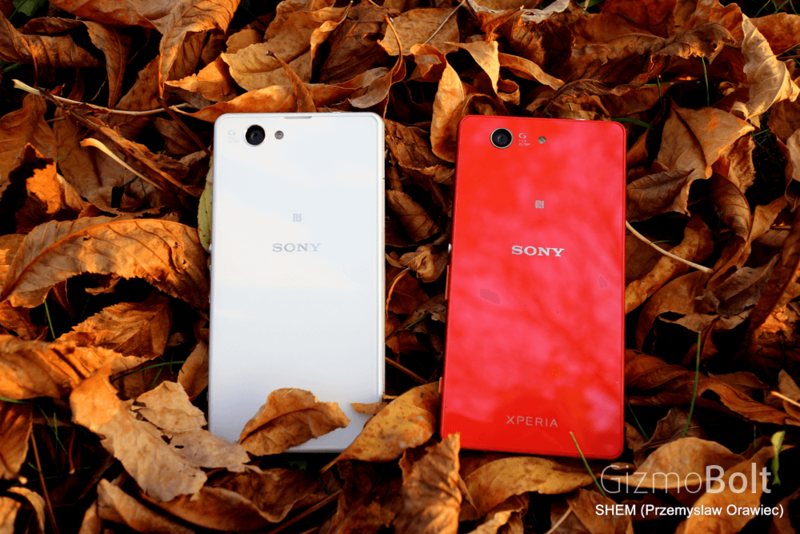 You will find Xperia Z1 Compact in White and Xperia Z3 Compact in Red/Orange in below posted pics. Presence of strap hole and main microphone on the bottom frame of Xperia Z3 Compact while only main speaker and microphone is present in Xperia Z1 Compact. 3.5 mm headphone port is almost situated at same location in both devices but in Xperia Z3 Compact there is also Digital Noise Cancelling secondary microphone at the top frame. At the right side of Xperia Z3 Compact there is magnetic charging pins, micro SD card slot and another big slot which has USB port and SIM card slot inside one flap while in Xperia Z1 Compact all ports are inside separate flaps. Left side profile of both devices are almost similar with same buttons except the size of buttons and presence of strap hole in Xperia Z1 Compact ( one hole on side frame and one on bottom frame ) which is present completely in Xperia Z3 Compact at the bottom frame. Rear side of both devices are almost same ( except the presence of secondary microphone in Xperia Z1 Compact ). NFC, Sony and Xperia branding are at the exact same location. Though the locations of marking of 20.7 MP cam is different in both devices. 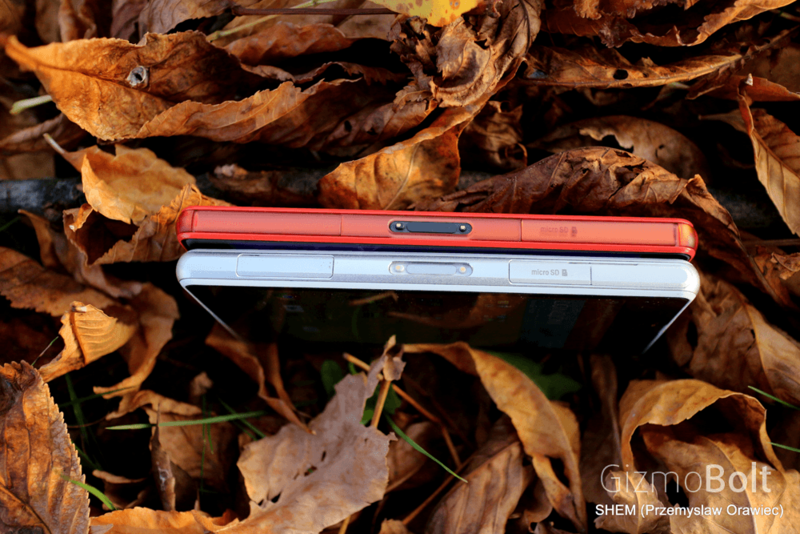 Do check our hands on Xperia Z3 and Xperia Z3 Compact comparison here. Xperia Z3 Compact is a very beautiful device powered with top specifications and a worthy upgrade over Xperia Z1 Compact. 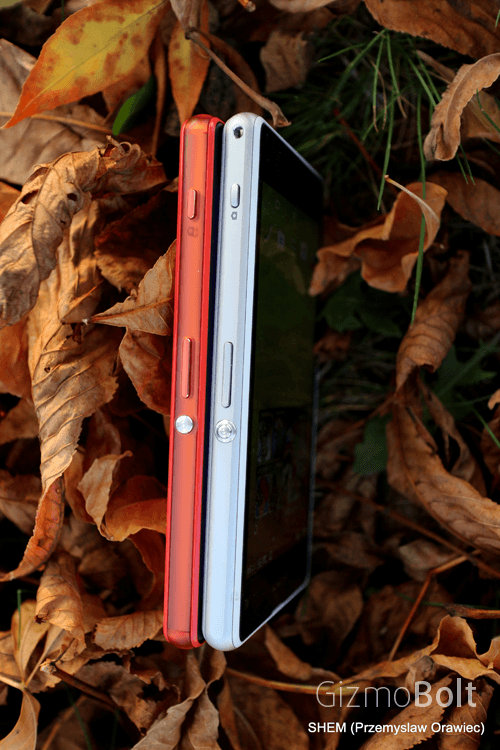 Are you impressed by Xperia Z3 Compact, let us know. Drop your comments below. Sony has redesigned the power menu option on Xperia Z3 and Xperia Z3 Compact where you can see a new option of “Record Screen“. It allows you to record whatever you are doing in your phone and sharing that video online so you don’t need an additional screen recording app now if you are an Xperia Z3 or Xperia Z3 Compact user. We tested the Xperia Z3 Compact Record Screen feature and found it very useful. You can now record the game plays, tutorials, can report bugs on the device easily. Record Screen feature captures video in FHD, HD and VGA format in landscape as well as in portrait mode. One of the cool feature of this option is that you can include your self video by using front cam in the video captured by Record Screen feature. Press the power menu, tap on the Record Screen option and choose the required options as shown in the pics below. Below you can see the screenshot taken via Xperia Z3 Compact Record Screen feature. We really like this Record Screen feature, what about you guys. Let us know, drop your comments below. LG G3 is without a doubt one of the most anticipated smartphones of 2014, hugely thanks to the success of it predecessor. We have been testing the device for almost a month to bring you a detailed review highlighting all of its features as well as to show you its main strengths and weaknesses. Just in case you don’t remember device features the newest quad-core Snapdragon 801 CPU clocked at 2.5 GHz, Adreno 330 GPU, 3GB of RAM and 5.5 inch 2K display protected by Corning Gorilla Glass 3. The screen has currently the highest pixel density available on the market (subject to change), but does it actually make a difference in everyday use? or is it just a marketing trick? Check out our full review to find out. The newest flagship from LG comes with a powerful 13MP sensor equipped with laser autofocus and dual LED flash. The camera performed astonishingly well in good lightening conditions but at night its performance was very poor. Check out some of our samples below. The G3 can record video in 4k resolution and you can change focus whilst recording by pressing on the screen. Below is a short sample video recorded in maximum resolution. Even though LG G3 has some of the most impressive technical specification on the market in daily use it performs significantly worse than other flagships. Battery life is one of the worst if not the worst among flagships and lags are noticeable throughout the interface. It does however come with a ton of interesting software solutions and its design is difficult not to like. Even though the display is massive at 5.5″ the phone itself is almost the same size as 5″ flagships from other manufacturers. Huge pixel density is most likely the cause of all the major problems with the device and it just shows how marketing ruined a potentially great smartphone. Are you using LG G3 ? Well it yes, let us know your views on it. Drop your comments below. If you follow us here on GizmoBolt you know that for the past few weeks we have been testing the OnePlus One smartphone. We have already showed you an unboxing video and some hands on pictures as well as a detailed Cyanogenmod 11S walkthrough. Now it’s time to finally show you our full review of this beast of a smartphone and answer the question if OnePlus One truly is the “Flagship Killer”? Just in case you don’t remember device features the newest quad-core Snapdragon 801 CPU clocked at 2.5 GHz, Adreno 330 GPU, 3GB of RAM and 5.5 inch 1080p FullHD display protected by Corning Gorilla Glass 3. If that wasn’t enough the phone has a 5 MP front facing camera and a 13 MP Sony Exmor IMX214 module with 6 lenses and dual LED flash on the back and you can find a selection of photographs taken with the device down below. We have also put the OnePlus One through a selection of the most popular benchmarks including Antutu, GFXBench, Quadrant, Vellamo and 3D Mark and checked how well it performs in some of the most demanding titles that can be found in the Play Store. OnePlus One comes equipped with a powerful 13MP Sony Exmor IMX 214 module with high aperture value of f/2.0 and a Dual-LED flash on the back and a 5MP camera on the front. Newly designed camera application in Cyanogenmod 11S definitely let’s you squeeze out everything that it has to offer and with a ton of scene selection modes as well as other features such as long exposure mode of up to 8sec it let’s you take truly stunning photographs. Below you can find a few taken by our team. 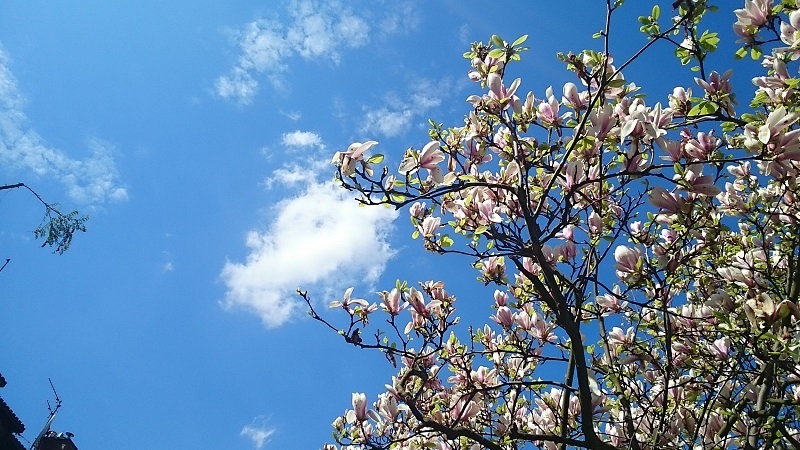 The camera in OnePlus One is not only able to capture great photographs but is also a perfect video camera substitute. It lets users record clips in 4K resolution (limited to 4 and a half minutes in length), 120fps 720p slow-motion video, 60fps 1080p video and also create timelapse video as shown below. 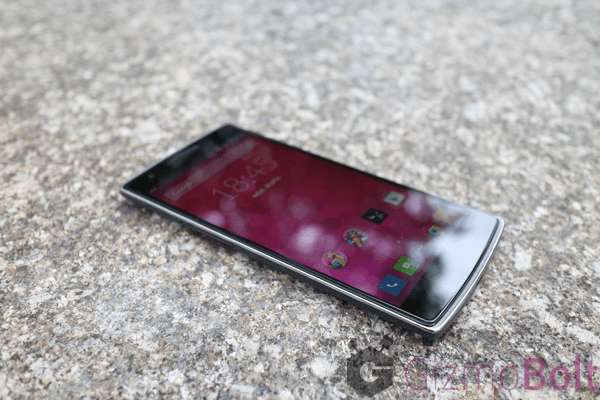 What do say guys, is OnePlus One really a Flagship Killer device? Any doubts, drop your comments below. We are left quite impressed by what the OnePlus One is capable of. The phone does have a few major problems such as the yellow banding of the screen (as highlighted in the vide0) but it’s strengths seems to shadow all the weaknesses. Let us know in the comments below what you think about the device. If you are looking for a way to get your hands on OnePlus One, the best way would be to sign up to OnePlus One forums to try to get your hands on an invite. Unfortunately we don’t have any invites to give away as of this moment, so kindly don’t ask. OnePlus One is without a doubt the most anticipated smartphone of 2014. The device comes with mouth-watering specs and features the newest quad-core Snapdragon 801 CPU clocked at 2.5 GHz, Adreno 330 GPU, 3GB of RAM, 5.5 inch 1080p FullHD display protected by Corning Gorilla Glass 3. If that wasn’t enough the phone has a 5 MP front facing camera and a 13 MP Sony Exmor IMX214 module with 6 lenses and dual LED flash on the back. OnePlus One runs on a custom build CyanogenMod 11S software based on Android 4.4.2 Kitkat and it comes with 2 year developer support from the Cyanogen Team. Ok, so what’s the big deal? 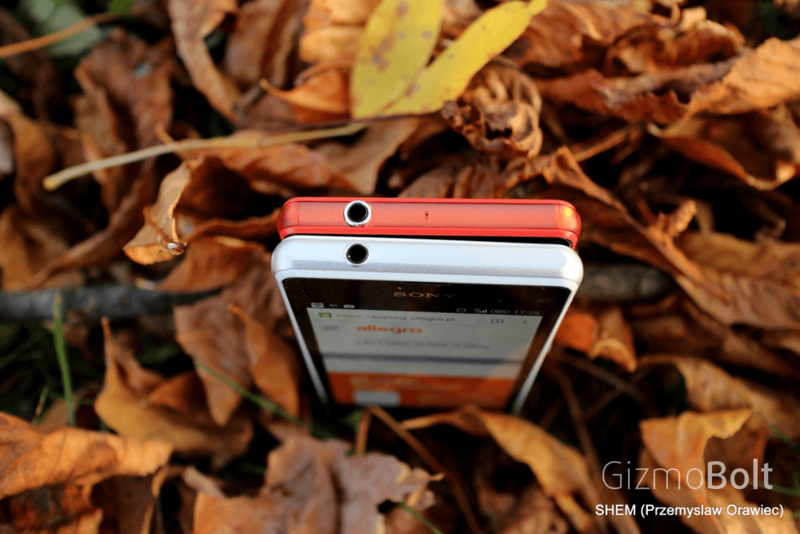 There are other smartphones out there with similar specification. That’s correct but we bet you neither of them cost 349$ brand new from the manufacturer for a 64GB version!!! This is something that the mobile industry has never seen before and that’s why the phone is dubbed the “Flagship Killer“. Unfortunately getting one is not as easy as just walking into a shop. There is an invite system to purchase the device and there are thousands of people around the world desperately waiting for their chance to purchase OnePlus One. We have been one of the early supporters on OnePlus One forum and after three months of patient waiting and taking part in multiple contests we finally managed to get our hands on the device. Below you can find an unboxing video of OnePlus One (global version) and a detailed Cyanogenmod 11S walkthtrough. We are still in the process of testing the device and will definitely upload more videos soon. So stay tuned for that. OnePlus One comes in very impressive packaging that makes a good first impression. Along with the phone we get a wall charger and there is a SIM ejector tool and a non-coiling USB charging cable included in the package. CyanogenMod 11S was specifically built for OnePlus One and it contains features that can’t be found in the standard CyanogenMod 11 builds. In this video we will walk you through all of the software features. We don’t have any invites to give out so please don’t ask. Sony Xperia Z2 is without a doubt one of the most exciting devices to come to market in 2014. It shows no compromises in almost any department and is the best Sony smartphone to ever be released. It not only has a beautiful screen, premium build, top-notch specification and a brilliant camera known from Xperia Z1 but also comes with IP Rating and front-facing stereo speakers. Xperia Z2 features android 4.4.2 KitKat out of the box, Snapdragon 801 Soc MSM8974AB 2.3 GHz quad core processor, Adreno 330 GPU, 3GB RAM in a 5.2″ FHD Triluminos and world’s first Live color LED display. Xperia Z2 features 20.7 MP Exmor RS rear cam capable of recording 4K videos ( 3840×2160 pixels/30p ) and 2.2 MP front cam. In our review we will present to you its beautiful design, show you how it performs in demanding games and test the speaker, battery and the screen. 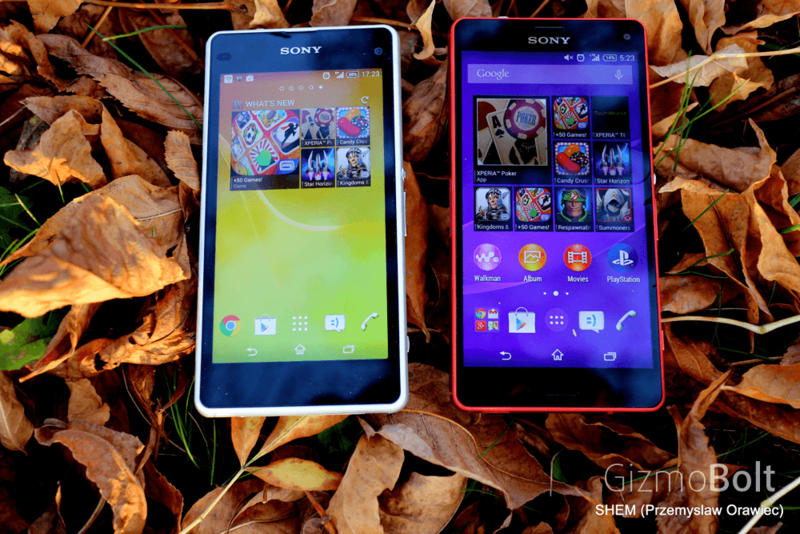 Is Xperia Z2 the right smartphone for you? Let’s see. If you have already got hands on Xperia Z2, let us know how is your experience with it so far. Drop your comments below. Xperia Z2 Tablet is the second generation of the flagship tablet from Sony. It is the thinnest and lightest waterproof tablet in the world and offers mouth-watering specification. With Snapdragon 801 and 3GB of RAM you should have no problems with multitasking and completing your work assignments. Thanks to its vivid screen, front-facing stereo speakers and various sensors it is also a perfect entertainment centre and the LTE variant has a built-in phone and messaging app so you could potentially use it as a phone as well. Take a look at our Xperia Z2 Tablet hands on video review and find out if Xperia Z2 Tablet is the perfect device for your needs. 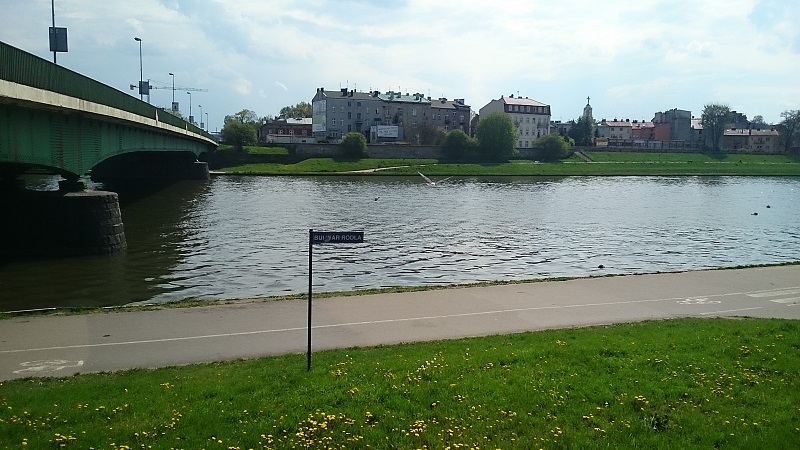 We took a few shots from Xperia Z2 Tablet and for a 8 MP rear cam, pic qualities were good. Below pics have been scaled down. Xperia Z2 Tablet and Xperia Z2 are the Sony’s H1 flagship devices, while Xperia Z2 Tablet will remain the flagship tablet till newer generation tablet is launched which we can expect next year only. It has been a long time since Xperia Z2 Tablet came in market, if you have been using it let us know your views on it so far. Are you satisfied with your Xperia Z2 Tablet ? Drop your comments below. 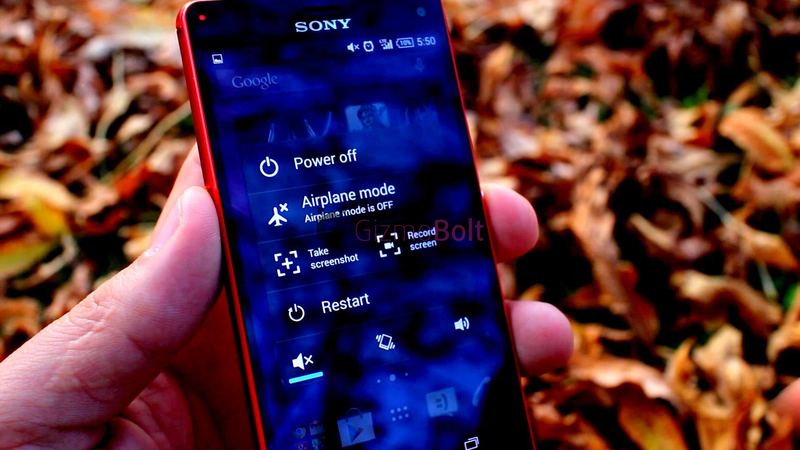 Ever wished you could unleash the full potential of your Sony Xperia Z1? With root access you will be able to install various mods and try custom roms that could potentially make your device run a lot faster and also extend the battery life. If you wished you could have 4K recording and the cool Timeshift Video known from Xperia Z2 thanks to various developers that will be possible as well. So what are you waiting for? Sony recently rolled android 4.4.2 14.3.A.0.761 firmware update on Xperia Z1 and if you are looking for a method to root Xperia Z1 we have got one. This rooting method does not require unlocking of the bootloader and you will be able to easily revert to stock. Kindly note rooting voids warranty and as soon as you revert back to original firmware you get warranty back. This guide will remove all data on your phone so make sure you perform a BACKUP first! Answers to most commonly asked questions to root Xperia Z1 ( FAQ ) can be found in below video. Xperia Z1 Drivers, download here. Newest Recovery installer by NUT (file name: Z1-lockeddualrecovery(…)installer.zip ), Download here. Any .534 firmware corresponding to your model number from here, get from here. 14.3.A.0.761 firmware files, get them here. If in any doubt to root Xperia Z1 kindly put your comments below XDA user shem2409 will surely answer it. Drop your comments below. Sony releases their flagship smartphones every 6 months. This way they can make sure that the devices always have top notch specification and are competitive in the market. We have now seen 3 generations of the Xperia Z Series handsets being released to the markets worldwide i.e. Xperia Z, Xperia Z1 and Xperia Z2. The newest Xperia Z2 is an absolutely brilliant device that has improved significantly since the original Xperia Z. Xpera Z2 features Snapdragon 801 2.3 GHz quad core processor, 5.2″ 1080p IPS screen display, 2 GB RAM, 16 GB internal storage and 20.7 MP rear cam with 4K video recording support. While if we see Xperia Z it seems an inferior device as compared to Xperia Z2 in terms of specifications while Xperia Z1 is a huge update over Xperia Z but does it stand par with Xperia Z2, lets see. Have the changes been significant enough to upgrade your Xperia Z or Z1 to the brand new Xperia Z2 or should you rather wait for the Xperia Z3? In the below mentioned video I will show you all the differences between handsets and try to help you answer the question. September is coming and we may see new Xperia Z3 ( hopefully ) coming at September end like Xperia Z1 came last year, though no official confirmation is there but we can assume next Xperia flagship coming at that time only. What do you think guys, is Xperia Z2 a worth update over Xperia Z1 ? We would like to ask Xperia Z2 users are you happy with your device. Let us know. Drop your comments below.